A good friend of mine went ahead and purchased a rossi circuit judge in 22LR/22mag combo this past Friday. He told me to grab my one of my 22LR's and head out to his place on Saturday afternoon. I bought along my old stevens 22LR model 83 and even took along the chrony for some reason! 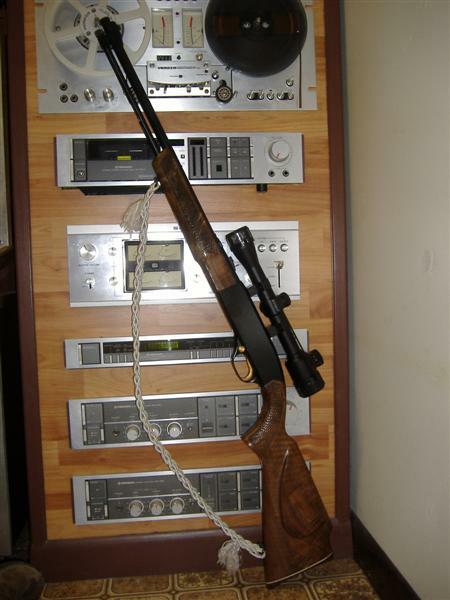 The day was in the 70's, p/c skies and we set up our chronies, I have a shooting chrony F1 and he has an Oehler with 2 screens (expensive) and set up our targets 25 yards away with my old stevens getting 0.75" groups. His groups with the rossi were 1 1/2" to 2" with the 22LR. In my gun (the stevens 22LR) I was averaging about 1460fps for the cci stinger 32gr, 1100fps with rem 36gr golden bullet and 1285 fps with cci 40gr. Both guns were reasonably close when shooting the 22LR. When shooting the 22 mag in the rossi using CCI, Remington and winchester velocity fell to almost half of what they should be. I ended up going back home and grab my winchester 275 and shoot the 22 mags. The results were on par what they should be as cci hyper 30gr velocity was at 2150 avg on both chronos and the same with remington and winchester! Switch back to the rossi and the speed was almost half of the winchester 275 using 22 mag from 3 different ammo companies. I did take the gun apart and the cylinder has a very tight gap plus the flash shields to protect your arm, the one thing I did notice is a rather large forcing cone for a 22. If anyone has one of these rifles any input would be greatly appreciated as Taurus has been contacted and he is awaiting a reply. If that forcing code is large enough-maybe some of the gases are going around the front of the bullet when it is in the forcing cone area-thus reducing the force of the gas on the base of the bullet-reducing the velocity. He might do better with bullets that are"longer bodied"(more area touching the lands)-only a guess at this point. I would think that the 22 mag needs a barrel tight to develop max speed. The 22lr not so much. Just a guess on my part. I am not surprised .. The difference in diameter means a higher energy (velocity) loss in barrel. Did some "googling" and found out this is a common problem with the rossi circuit judge 22 mag. This site has pics showing the hugh forcing cone swallowing the entire 22 mag shell. Kind of strange that Rossi would produce a gun like that. Certainly not worth shooting 22 magnum. I wonder if it will be recalled? No problem here...There are no taurus' or rossis in my safe. Hey Omni...How do you like your Mod 275? I have the Mod 290 with monte carlo stock. Puts CCI Mini Mags out there at over 1200 fps and is quite accurate. 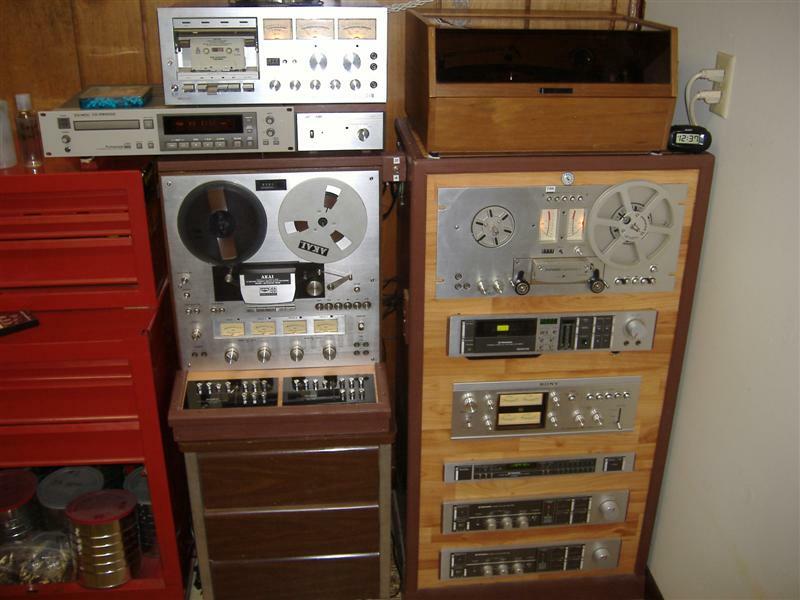 Bushy, you keep you reel-to-reel in your safe? An antique like that must be worth a bundle! Wow! I'm impressed!! Your music set-up dwafts my clock radio. Clock Radio?!!? Did you say "clock radio"? Love the winchester 275 and accurate too. Update, Taurus did call today and spoke to my friend and he has to ship the gun back to the factory. Not bad for a gun brought on Friday only to have it shipped back to the factory on Monday. Are those brown/tan thingy on the shelf.. B O O K S ? 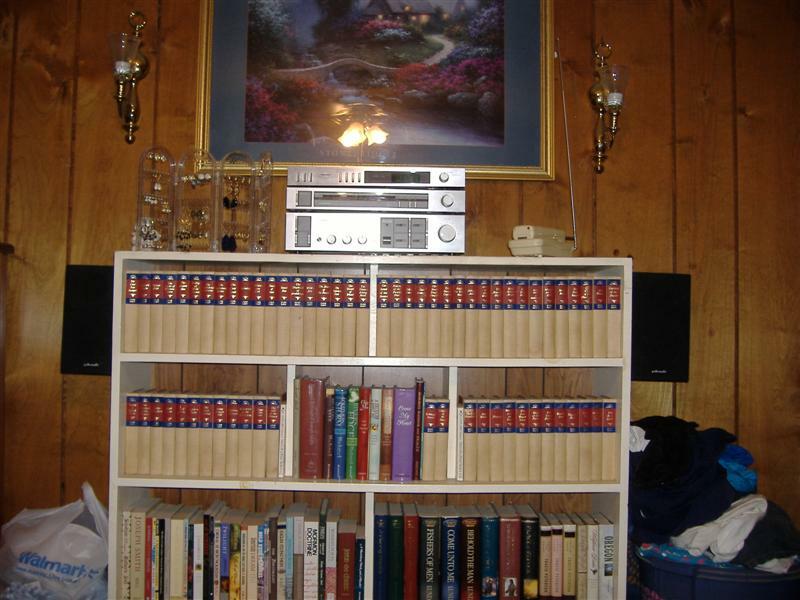 Its a Britanica Encyclopedia Set sold by door-to-door salesman!!! This is like going to a museum!! !